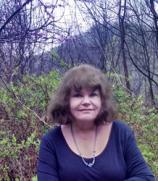 Fans of Sharyn McCrumb’s popular southern historical Ballad saga will welcome with open arms a return to the misty and legendary hills of Appalachia with her long-awaited novel. Nora Bonesteel --- sage, seer and soothsayer who casts her subtle aura as the aging oracle of the hills throughout most of the series --- appears here in a new light. Revered by the residents of her home county, some of whom take her seriously, but respected by all, we have only known her as an elderly and eccentric woman of the hills. 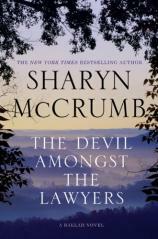 In THE DEVIL AMONGST THE LAWYERS, Nora is introduced as the 12-year-old cousin of one of the main characters whose budding talents so far are known only to family members. The story is based on an actual historic trial that took place in eastern Tennessee in the mid-1930s. The mysterious death of a father, allegedly at the hands of his beautiful young daughter, has captured the imagination of a nation just coming down from the sensational events surrounding the kidnapping, death and subsequent trial involving the Lindbergh baby. America is in the throes of the Great Depression, Prohibition is still felt in parts of the country, and the William Randolph Hearst publishing empire has cornered the market in splashing lurid headlines of train robberies, kidnappings, murders and anything else that they can manipulate into a story that will sell newspapers in hard times. Yellow journalism has been launched and embraced by a nation eager to read about people worse off than themselves. The image of a pretty young school teacher, returned to her hometown from college to teach, has ignited the imagination of a country hungry for free entertainment. Reporters from Philadelphia, New York and around the country were flocking to the tiny coal town of Wise, Tennessee to report on what was being touted as the new trial of the century. The big city media has already come to its own conclusions about the crime. Worse, they arrive with preconceived notions about the region, its people, how they live, dress, think and talk, and are more than delighted to embellish their purple prose to bolster their concept of hillbillies. This tale of a trial is not so much about what happened the night the girl’s father died from a violent head wound, but how the family, this small town, and the preconceived notions of the world about one of the poorest regions in America were perceived. The truth, could it ever be discovered, would not matter except to those directly involved. Two urbane, jaded columnists and an award-winning photographer from a major eastern newspaper arrive at the nearest town with housing facilities, armed with their notepads and cameras to chronicle the event. Carl Jennings, a wet-behind-the-ears 18-year-old aspiring writer, has been dispatched from a local Tennessee weekly where he has talked himself into a job that will make or break his journalistic future. Carl finds himself as the only one among the many reporters crowding the courtroom to know and understand the local culture. He may be young and naïve, but he is sharp enough to perceive that the hard-eyed cynics hanging out in the hotel lobby are more interested in spinning a good yarn and finding a local source of liquor than looking for truth. Carl decides to get an interview with the accused in her jail cell and discovers that the Hearst Publishing people have her sewn up. They have paid her or her family handsomely for an exclusive story, and no one else can get near her. Carl becomes more certain that there is more to the story than is being written, so he decides to spend what little cash he has on bringing his 12-year old cousin, Nora Bonesteel, known by his family to possess “the sight” (not unusual among his relatives), to see if she can divine the truth and even succeed in slipping in to talk to the girl. World-weary, celebrated writer Henry Jernigan is one of the novel’s more intriguing characters. Nora’s presence touches him in a way that opens a truly fascinating subplot, enhanced by chapter-opening epigraphs from 17th-century Japanese poet Matsuo Basho. As ever, McCrumb has woven an intricate tapestry of history, cultural color from two continents, mystery and even a little detective work to add to her treasure of literature.